No matter what your drink preferences is, it’s hard not to have love for Grand Marnier. It is the drinking equivalent to an actor who is nominated as Best Supporting Actor and Best Actor with equal ease. For many Grand Marnier is the fun floater for your margarita or cognac that adds a smooth flavor and strength to your drink. These same qualities, however, are what also makes the drink so wonderful solo, no mixers or even ice needed. So when I was introduced to a different product from the Marnier Lapostelle family I was intrigued. Kappa Pisco is a new offering of a clear style brandy that has the same versatility in use and taste Grand Marnier is renowned for. 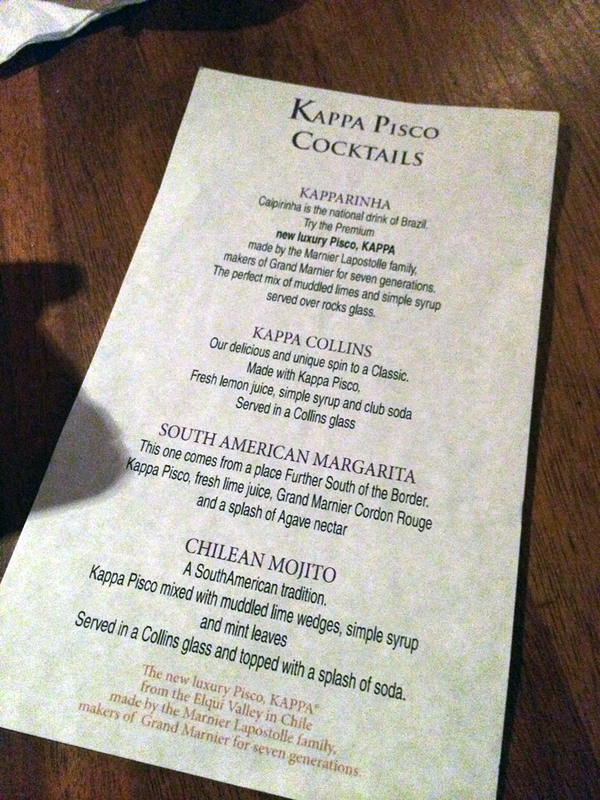 Chilean Mojito: Muddle limes and mint with Kappa Pisco and finish on the rocks with a splash of soda. All of the recipes really give you an opportunity to showcase floral and fruit notes of the brandy. When you have a star starting off this beautiful, why not keep it simple and let the Kappa Pisco shine?